…for Canada and US Markets. With today’s changing technology and the data centers 99.99% demand for reliability. IT professionals need sophisticated equipment to measure power consumption at the data center level, as well as the sever level to understand and control what is happening within their infrastructure. Mission Critical reliability can only be as good as the weakest link in the power chain. What does your data center look like? Chances are, it’s a vast, complicated landscape of diverse equipment. And your challenge is to keep it up and running, 24/7. With as few complications as possible. Karis can help. 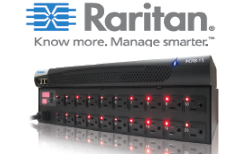 Our secure, in-band and out-of-band IT solutions — including KVM, serial, power and management products — allow you to monitor, access and control nearly every component you’ve deployed. Together, they help you increase uptime and security, enhance planning, contain costs and respond quickly to changing business needs. IT organizations in midsize companies face a unique challenge: they have to manage all the complexities of a growing server room, but with increasingly limited resources and budgets. Not only are there issues about keeping every device up and running, there’s the added need to plan for the future, as the server room is updated or expands. Fortunately, Karis offers management tools that can optimize the utility of your existing technology, boost security and strengthen your disaster recovery plans. With products that help stretch your IT dollars by improving the productivity of your staff, while, at the same time, reducing server room clutter.